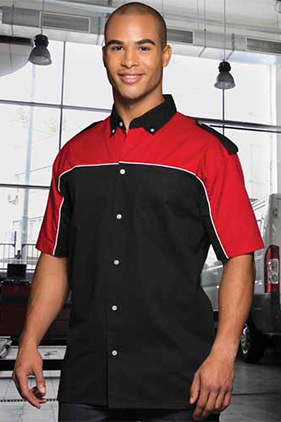 55% cotton/45% polyester 6.8 ounce shirt with button-down collar, shoulder epaulets and left chest pocket. Color-block design. White piping on front and sides. Hemmed sleeves and finished bottom hem.